A new credit card from Bank of America (BAC) will offer cash rewards up to $120 a year to cardholders who pay off more than the minimum balance every month. The BankAmericard Better Balance Rewards card gives cardholders $25 per quarter as long as they always pay their bill on time and pay off more than their monthly minimum due amount. Cardholders who also have a Bank of America bank account get another $5 each quarter, bringing the total to $120 a year just for staying on top of their bills and making an effort to bringing down their debt. The rewards can be cashed out or put toward your credit card balance. That's a very different rewards program than you see on standard rewards cards, which focus on getting cardholders to spend as much as possible to get cash back. And while those rewards cards tends to be geared toward people with excellent credit, the Los Angeles Times notes that this card is likely to be aimed at lower-income consumers with fair credit. So is the card a good deal? The rewards are certainly attractive. To get $120 in annual cash rewards on a standard rewards card with 1 percent cash-back, you'd need to spend $12,000 in a calendar year (though bonus categories with rewards of up to 5 percent can allow you to get there more quickly). By contrast, you don't have to rack up a ton of spending on this card to get a comparable cash bonus. In fact, even if you have only a $15 minimum payment, you could put a measly $20 on the card every month, and as long as you're paying a little more than the minimum due amount, you'll reap the rewards. If you also have a bank account with Bank of America, that means you could wind up getting $120 in bonuses on $240 of spending, a tidy 50% cash-back rate. But that same feature also means that the card doesn't necessarily encourage people to make a serious dent in their balances. Because the cardholder need only pay "any amount more than the monthly minimum due" to get the cash bonus, simply paying a dollar over the minimum would be sufficient to get the rewards. A better incentive to encourage responsible borrowing might be to require cardholders to pay a minimum percentage of their total balance. 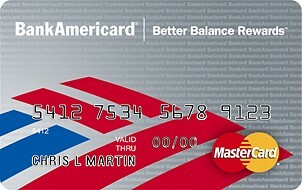 Another issue is that the annual $20 perk for holding an account with Bank of America might backfire on some consumers. 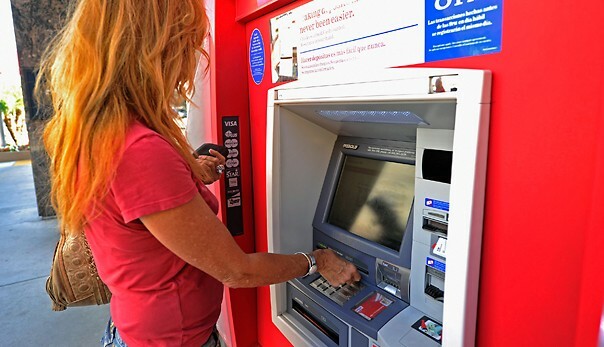 The card, after all, is aimed at lower-income customers, who may not be able to maintain the necessary minimum account balance to avoid Bank of America's monthly account fees. If you're considering this card and you're currently with a bank or credit union that doesn't charge a monthly maintenance fee, you should examine Bank of America's fee structure to make sure that switching banks won't cost you considerably more in the long run. As with any other credit card, then, you'll need to examine your own personal finance habits to determine whether it's a good fit for you. Played the right way, the Better Balance Rewards card can help you make some easy money without significantly altering your spending. Just don't be fooled into thinking it's a magic bullet for eliminating your credit card debt.